(Sarasota, FL) The Manatee Hurricanes, the lone area team in Sarasota or Manatee County still alive in the post-season, travel to Orlando tonight to play the Dr. Phillips Panthers (12-0) in the 8A Region 2 Final of the FHSAA football playoffs. The Hurricanes (11-1) defeated Vero Beach 47-28 last week at home to advance to the regional final four while Dr. Phillips beat Tampa (Plant) 24-10 in Orlando. The winner will advance to the state championship game in the Citrus Bowl in Orlando next weekend. The game will be broadcast on WLSS 930 AM at 7:30 PM with Dave Bristow calling the play-by-play. 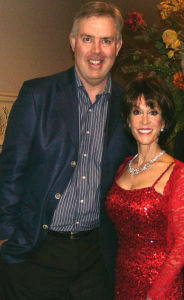 Conversation with the “Queen of Cool”, singer Deana Martin about her upcoming shows, her legendary Dad, Dean Martin, Frank Sinatra, Jerry Lewis, television variety shows, Las Vegas and more. (St. Petersburg, FL) Joe Maddon may have left, but the Tampa Bay Rays will continue to host Thanksmas for the ninth consecutive year, December 15-19, at the Salvation Army Shelters in St. Petersburg, Tampa, Bradenton, the Sallie House in St. Petersburg, the Homeless Emergency Project in Clearwater and the Coalition for the Homeless of Central Florida in Orlando. Over the past eight years, Thankmas has served approximately 7,000 individuals in need and provided many with clothing and shoes. The Rays will provide and serve either lunch or dinner to each of the shelters. In 2013, as a result of donations from generous Rays fans and fundraising efforts, Thanksmas also presented more than $20,000 to the Salvation Army centers in St. Petersburg, Tampa and Bradenton, the Sallie House and the Homeless Emergency Project. Thanksmas kicks off on Monday, December 15 with a return to the Sallie House, a safe haven for children who have been removed from their home because of abuse, neglect or abandonment. This will be the sixth consecutive year that Rays will visit the Sallie House as a part of Thanksmas. The Rays will also visit the Coalition for the Homeless of Central Florida, the largest provider of homeless services in Orlando and Central Florida, for the first time. Throughout this year’s Thanksmas, current and former Rays players, Rays coaches, broadcasters and front office staff will serve meals to those in need. For more information, visit raysbaseball.com/thanksmas. 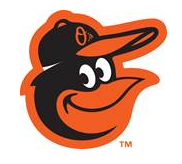 (Sarasota, FL) On Monday, February 23, the Orioles will hold the 5th Annual OriolesREACH Birdland Golf Classic at The Founders Club to benefit the Miracle League of Manasota, an organization dedicated to providing an opportunity for every person to play baseball, regardless of their ability. Registration is now open for golfers and corporate partners. (Sarasota, FL) Five area teams are in action tonight in the second round of the FHSAA playoffs and all five games will be broadcast on either radio or television. The Manatee Hurricanes host the Vero Beach Indians in Bradenton. The game will be broadcast on WLSS 930 AM with Dave Bristow calling the play-by-play. The Venice Indians are home to play the Armwood Hawks. Rich Spedaliere will call the game on WENG 1530 AM/107.5 FM. The Braden River Pirates will entertain the East Lake Eagles. Bright House Sports Network will broadcast the game on cable television. Clearwater Central Catholic visits the Cardinal Mooney Cougars in Sarasota. WSRQ 1220 AM/106.9 FM will broadcast the game. The Charlotte Tarpons travel to Ft. Myers to face the Green Wave. Jeff Briscoe will call the game on WCCF 1580 AM. Tonight, I’ll be appearing on Adam Shadoff’s “Friday Football Fever” show on SNN at 11:15 PM Friday for a recap of all the high school football second round playoff action in Sarasota and Manatee Counties. Mike Nichols passed away at the age of 83 Wednesday. Before he was known as an Academy Award winning film director and Tony Award winning stage director, he was part of one of the legendary comedy teams of the the late 1950’s and early 1960’s with Elaine May. Here is one of their classic sketches.